If you are following along here on Dazey Mayhem, you know that my daughter Piper and I are giving the Korean skin care routine a try. In previous posts I have covered resources to learn about Korean skin care and the multi-step routine. You can find those posts here: Multi Step Routine and Korean Skin Care Project In this post I will cover where you can purchase these products since they are not readily available in the US. The first place I looked, and had some success finding K-beauty products was, the simultaneously best and worst thing to happen to shopping, Amazon. If you know exactly what you are looking for, you can often find it on here. A couple of things to watch out for. First, make sure the seller has a decent amount of good reviews. Everyone is new at sometime, and nobody is perfect, but be cautious of sellers who are new and have bad or very little feedback these can be red flags that the stuff you are getting is low quality, expired or even counterfeit. Second, just because it says it’s available with Prime shipping does not mean it will arrive in 2 days. Pay attention to the shipping and arrival dates if you are in a hurry for a product, it often takes a week or more to get some of these products, even with Prime shipping. Finally, read the description carefully, verify that you ordered the exact name and size of the product you want to avoid unpleasant surprises. There are two websites that ship from the US which I have used with great success, Soko Glam and Peach and Lilly. Both of these sites are curated collections; Soko Glam by Charlotte Cho, and Peach and Lilly by Alicia Yoon. Both are Korean-American aestheticians who are very knowledgeable about skin care and specifically, Korean products. Both Cho and Yoon now have their own products lines, but their sites sell other brands which they have chosen and recommend. Be sure to sign up for their newsletters to get a 10% discount on your first order. They both offer loyalty rewards, so make sure to take advantage of those as well. Between the two sites, I prefer Soko Glam for a few reasons which all have to do with saving money. First, they offer free shipping on orders over $35, Peach and Lilly’s minimum is $50. Second, you can get an additional 3% back if you use Ebates, so that helps a little. Finally, I feel like Soko Glam has more sales and specials than Peach and Lilly. That being said, Peach and Lilly has great products, and you can buy some of them at CVS, yes CVS the drug store. Believe it or not, Peach and Lilly’s line called Peach Slices is available at some (not all) CVS stores. Their sheet masks are fantastic and only cost $2.50. 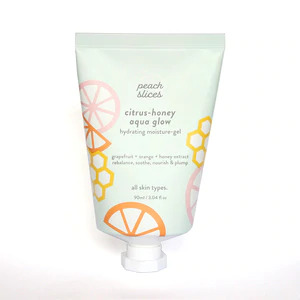 I also love the Peach Slices hand cream, and Piper loves the acne spot treatment patches and their Citrus-Honey Aqua Glow moisturizer. Huge bonus points for Peach and Lilly. This stuff is amazing and only cost $12 at CVS! There are a variety of online stores including Beauty Net Korea, RoseRoseshop and jolse.com. But my favorite is Yesstyle. 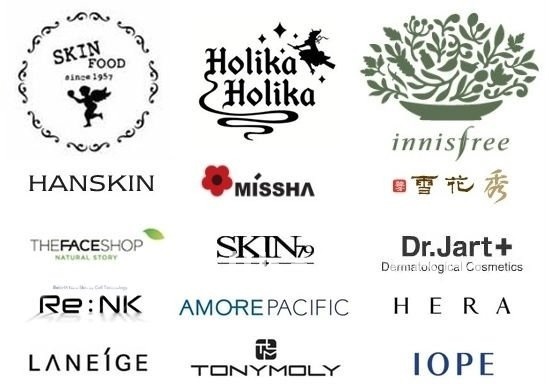 Here’s the thing about ordering from any of these sites, the shipping takes a long time (usually 2 weeks), sometimes the product descriptions are in Korean and you have to have a PayPal account. If none of those things are a barrier to you then have at it. I like Yesstyle.com because they have a huge selection, there is always some crazy sale, the shipping is free with a $30 order. Plus, I am a gold member so I get 10% off my orders. I got to gold status really quickly by signing up for the newsletter and writing reviews of products. They also have extremely cute clothing and fun housewares. So it’s always an adventure on that site. Another site I recently became aware of is BeautynetKorea.com. This is another international site, so, slow shipping and PayPal is a must. However, their prices are easily the best I have seen. For instance, a Cosrx toner I just bought on Amazon for $12 is $7 on their site, my favorite balm cleanser is consistently $18-$20 everywhere, on this site it’s $13. They also have samples you can purchase for extremely low prices, like less than a dollar low. So I will definitely be giving this one a try in the future. If you are thinking about starting a K-beauty routine, check these sites out. If you are overwhelmed by the choices I recommend you start with one of the routine kits based on your skin type offered by both Soko Glam and Peach and Lilly, that would be a safe way to start. I was a little more adventurous, but I used a lot of the recommended products from those kits. Step One of The Routine- The Cleanse…. like the Purge but without the gratuitous violence.